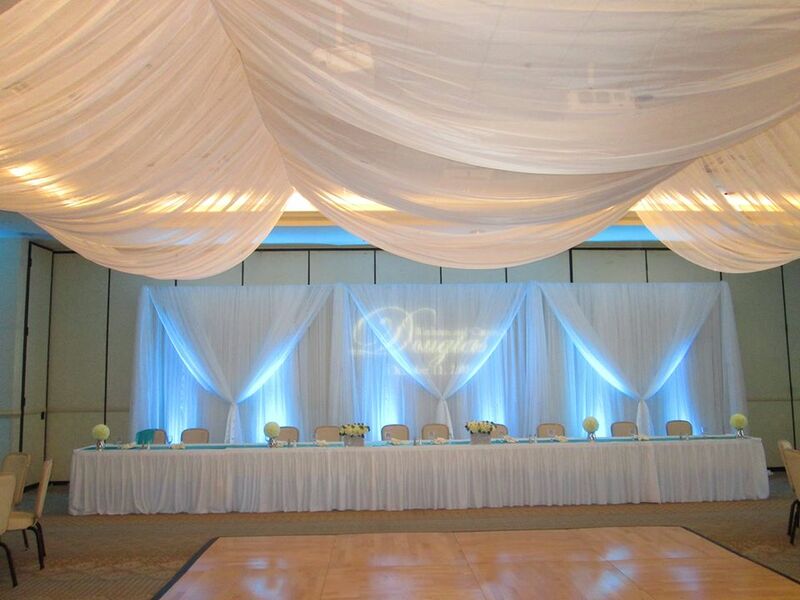 Draping can be a stylish and unique way to create a romantic atmosphere for your Charleston wedding reception. 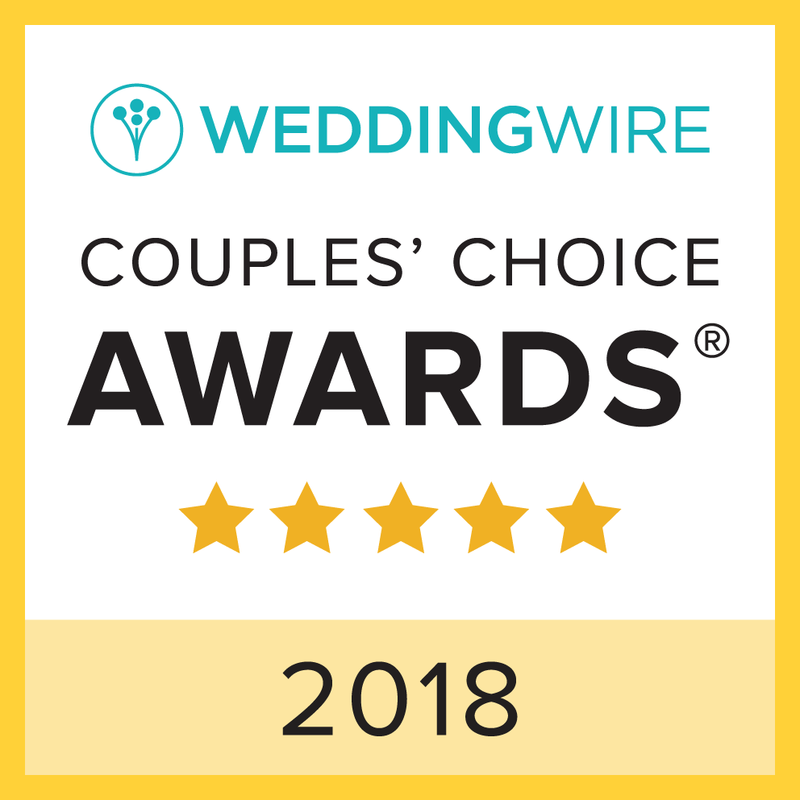 You may have noticed that there are different methods and styles of wedding draping available and wonder what option is going to be the best and most cost effective for your special day. A commonly used method is traditional pipe and drape which consists of bases and uprights on which pieces of fabric hang to create a backdrop. 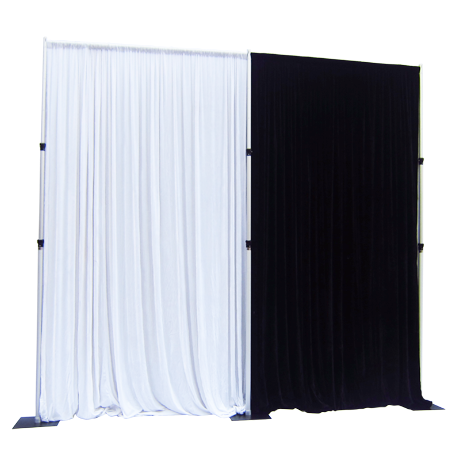 This basic method can be used to block off an area or placed in front of an unsightly part of your wedding venue. 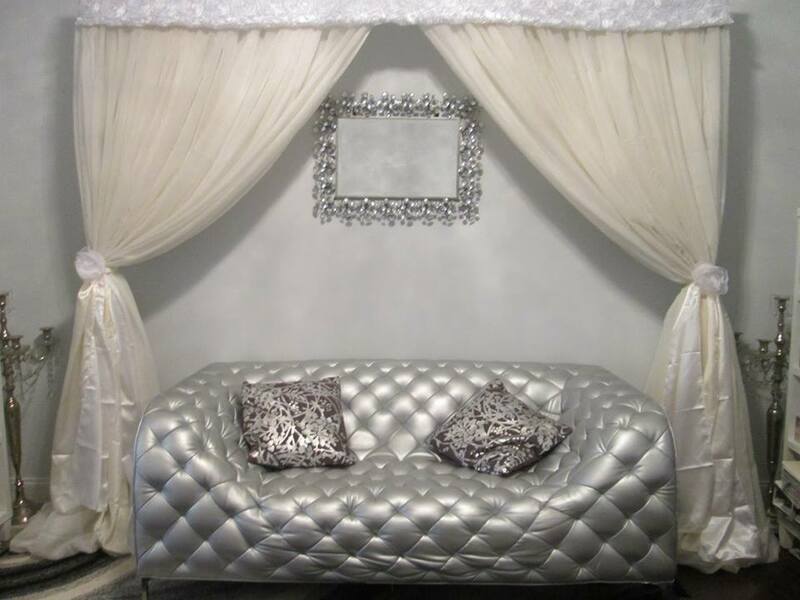 Standard pipe and drape is typically eight feet tall and ten feet wide and is not adjustable. 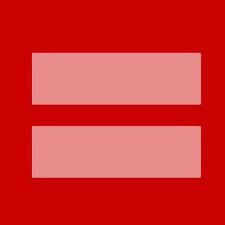 This can be very limiting depending on your venue. Fabrics are usually offered in white and black cotton. While it can be effective in covering up, often times it is not very decorative or unique. Also because the fabrics used are usually stiff they are limited to straight forward hanging pipe and drape and cannot effectively create other styles. 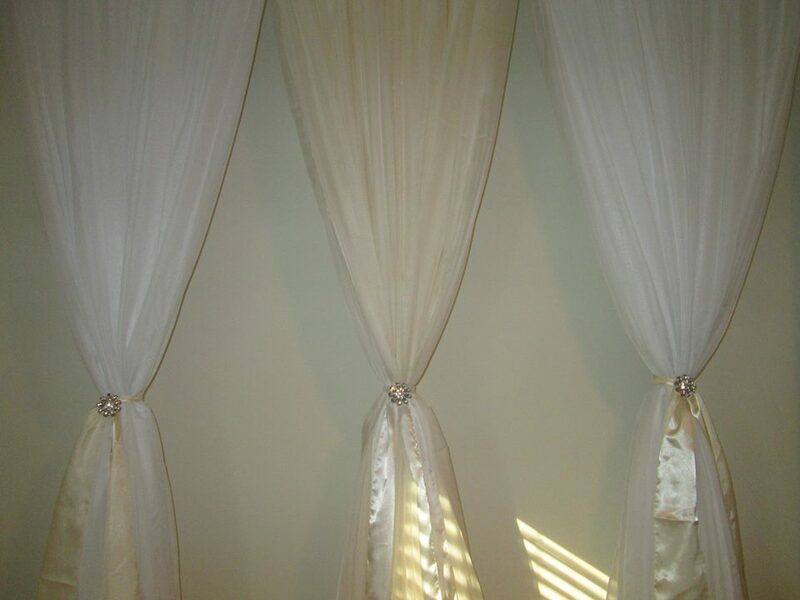 Overall, standard pipe and drape can be very limited and a bit boring. For brides who are seeking more elegance and versatility for their Charleston Wedding Reception there is custom wedding draping. 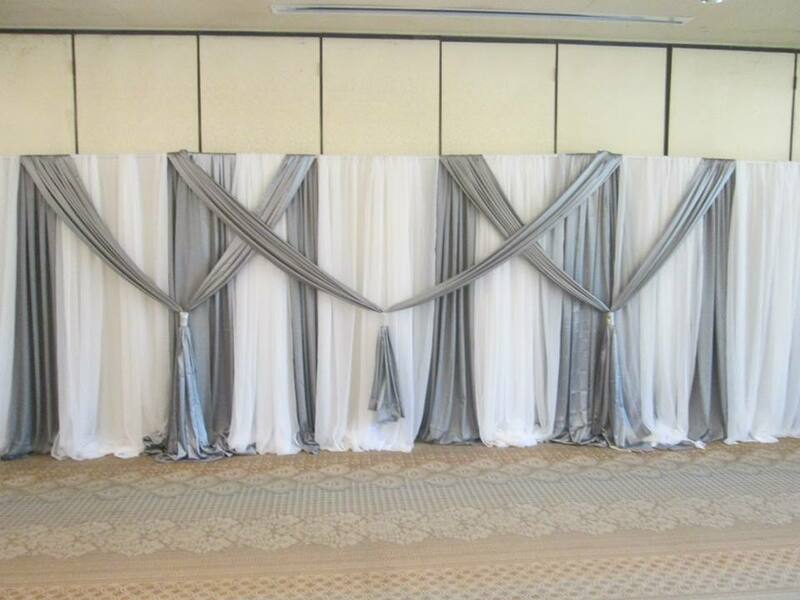 Unlike traditional pipe and drape, custom draping can be done in a vast amount of styles and include embellishments to fit your taste. Tanis J Events has a large inventory of uprights that are adjustable from six to fourteen feet and cross bars from six to twelve feet. This allows our draping specialists to be able to design and create the exact size and style desired for your Charleston wedding reception, even in venues where standard pipe and drape would be too short. We use sheer fabrics that create a soft and flowy romantic look. Tanis J. Events uses fabrics that are also more versatile and can be used for a variety of designs such as valences, braided designs and window styles for your Charleston wedding reception. These designs can then be embellished with beautiful accents using ties and fabric brooches. 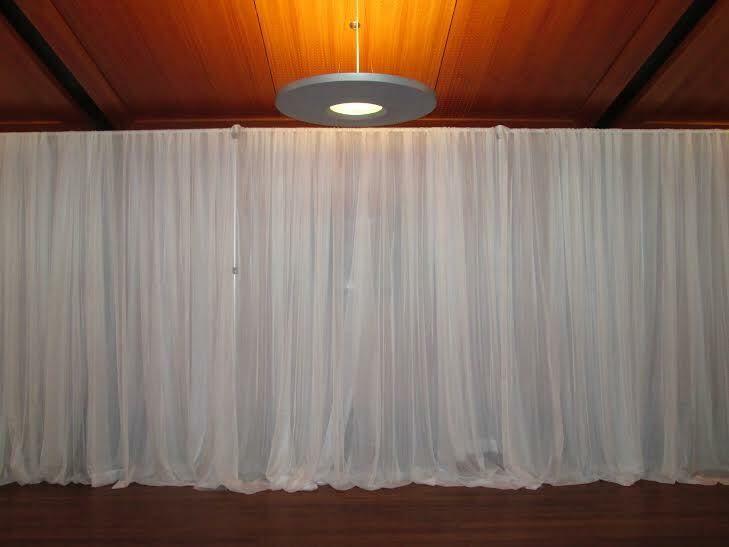 Contact us today if you are looking for draping for your Charleston Wedding Reception!